Now that you’ve had your new windows and doors expertly installed you may need a little advice on how to retain that just installed look, and maintain the working parts of the window.
. Buy WD40 in a can and use liberally on all working parts of the windows and doors. Every six months you will need to spray the locking mechanisms and especially windows such as bathrooms and kitchen where a lot of moisture is produced. Areas near to the coast will have a problem with salty air which ruins the working parts . Spray some on the window key and push in and out of the lock to oil the insde of the lock, to prevent it from ceasing up. So it is an essential part of the maintenance of upvc windows.
. WD40 can also be used to clean the frame surface on woodgrain finished windows. Don’t use on white frames and not on the glass. The spray will give a shiny finish to the woodgrained foil and slightly protect it.
. Once the windows and doors are installed customers will only need to use a non abrasive non bleach multipurpose cleaner for everyday cleaning. Any glass cleaner is fine on the glass and fine on all glass types including energy saving glass.
. Only ever use a solvent cleaner purposely made for UPVC. Your installer will already have used this pre- sealing. The more solvent you use on the sealants on the window the more likely you are to take away the silicone. If the silicone is discoloured then use sparingly, in long swipes rather than small quick rubs. 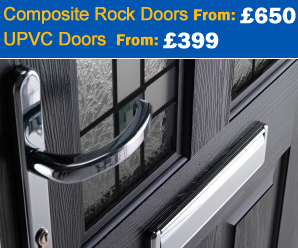 Solvents for upvc can be bought at B&Q.
. For the best finish on glass and frame always use either kitchen paper, or specialized large rolls of tissue which are available in DIY shops.
. Don’t ever use solvent on composite door slabs as it may invalidate the guarantee and ruin the finish of the door. These doors only ever need a wipe with some multipurpose cleaner or a hot damp cloth. If the door has a upvc white outer frame then solvent on this would be ok.